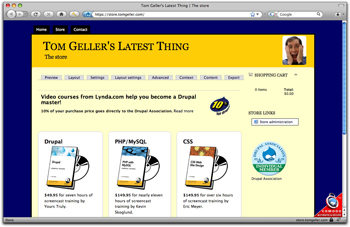 I’m pleased to announce the opening of store.tomgeller.com, which donates 10% of the purchase price on all Drupal-related products to Drupal Association. All three for $299.85 — a $50 savings, available only from store.tomgeller.com. This is a test run: If it goes well, I intend to offer other Drupal-related products through the store, also with 10% going straight to Drupal Association. Hey, Ryan — thanks for putting together so *usable* a product. I tried out the e-commerce module about a year ago, and remember it as being adequate. But I wouldn’t really know, since it was never put into production. And that’s the real test, eh? Stephanie of TopNotchThemes encouraged me to go with Ubercart. On another note: Any progress on affiliate functionality? I believe I sent you a private email about that. I’d love to set it up here. Sorry for the delay, but the gist of it is there isn’t work toward a core affiliate module, but mimetic2 has released his latest contributed effort at http://www.ubercart.org/contrib/6298 that may accomplish what you need. I think it’s a robust solution as is, and if not I’m sure you could give it the final polish you need. Thanks for the reference! I’m having a hard time making it work, and it appears to have zero documentation. But I’ll muddle through. 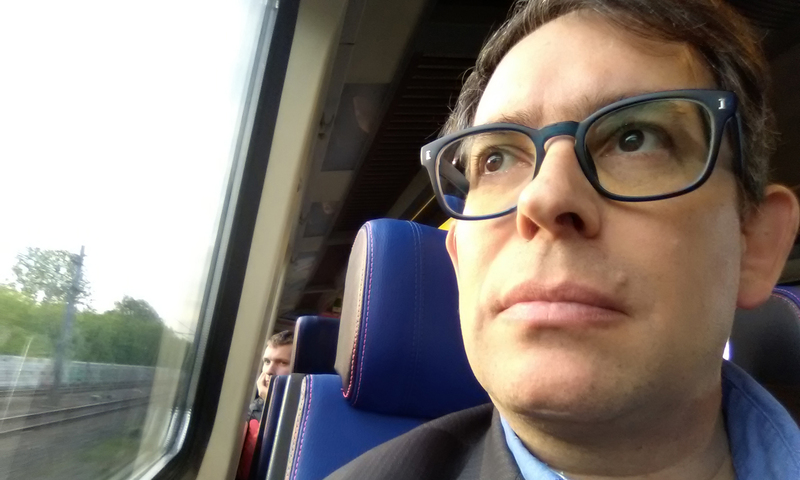 Previous PostPrevious Is the market ready for Drupal certification? Next PostNext Why support Drupal Association?